Lilikoi in Upcountry Maui -- Ambrosia! Sometimes it takes a good neighbor to show you what's in your own back yard! Casey came over the other morning with a rebag in his hand. Is it okay if I pick the lilikoi in the back yard? "Yeah, they're growing over the fence from my yard." It took me only a few seconds to recover. "Yeah, sure, just as long as I can have some too." 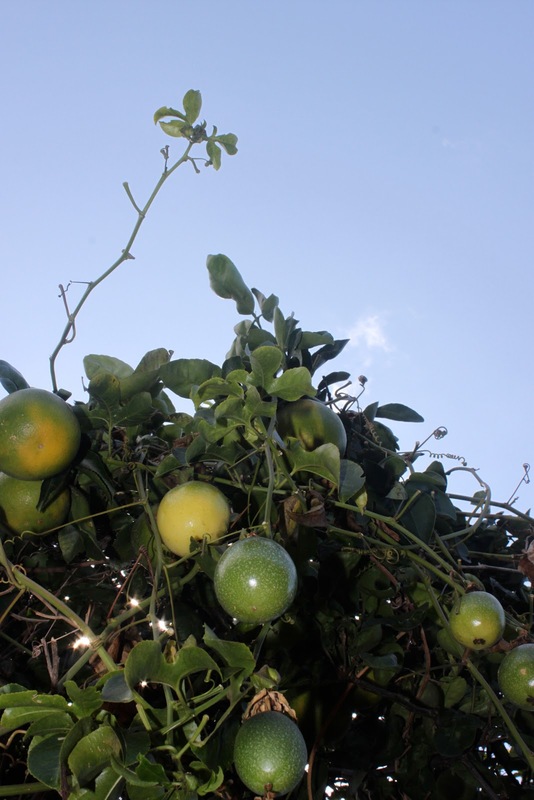 Lilikoi vines were gold in Hamakuapoko, where I grew up -- second only to mangoes (platinum). And what was the best way to eat the fruit? Why, straight out of their container, of course. Crooked finger separating the seeds and pulp from the white flesh and s-l-u-u-r-p -- two or three times, down the hatch, seeds and all. Mm-mm, a refreshing snack while out playing (no I didn't know then about how good lilikoi is for you). Nowadays, you can buy lilikoi things on Maui, POG being the most commonly found item. 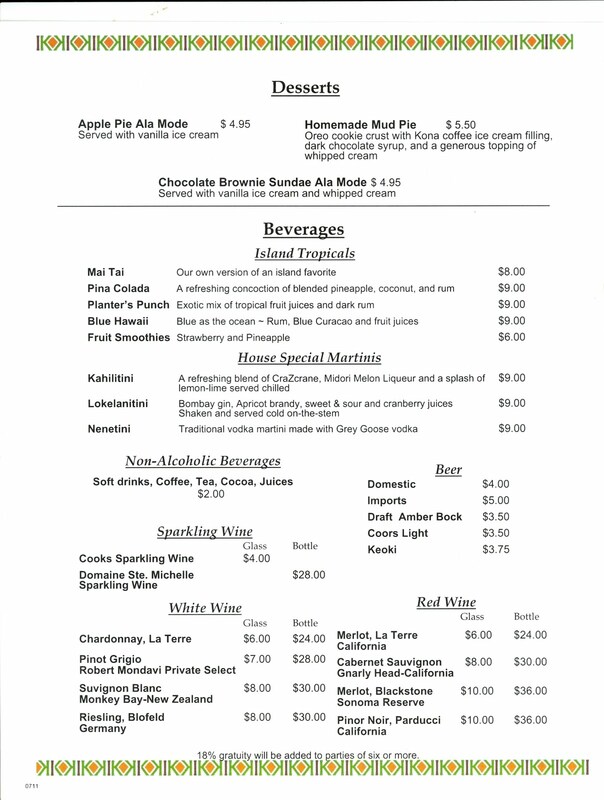 BTW, POG juice (passion fruit, orange, guava) started out being made by Haleakala Dairy, just up the road from where I live. Now it's put out by Meadow Gold. Our school kids love POG. Yes, I know. I've just scratched the surface about Maui's love affair with the lilikoi. 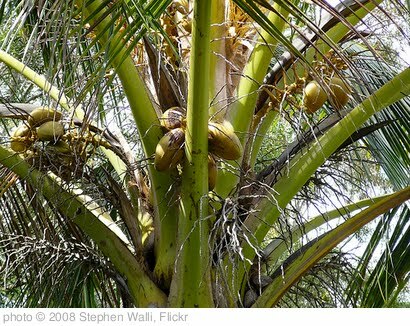 I can hear it already -- what about the lilikoi on the way to Hana? What about the vines in Waihe'e Valley (thank you to the Kahalekais for that home-made to-die-for lilikoi butter)? What about ... ? 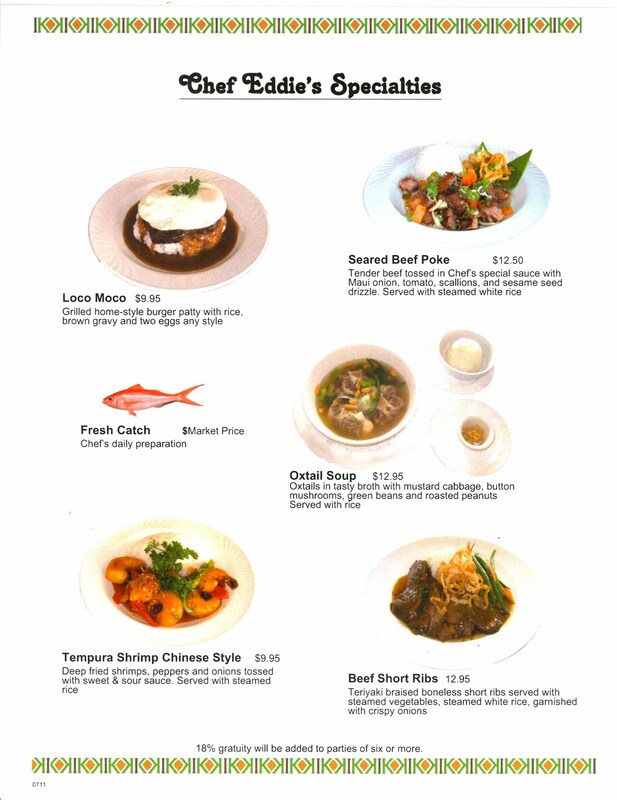 Please consider commenting below if you'd like to share your favorite Maui lilikoi story. Turns out the lilikoi vines were high up in the tree and kind of looked like oranges from far. That's my weak excuse. Blessing of the Backpacks, a Maui Upcountry "Chapter"! I know they do this in other places, but I think it's so wonderful that we have a Maui upcountry "chapter"! MAKAWAO - Makawao Union Church will send children off into the new school year with a "Blessing of the Backpacks" on Sunday at the 10:30 a.m. worship service. Each child, along with his or her book bag, will be blessed as a sign of God's love in the coming school year and in caring for the inevitable jitters, a news release about the event said. 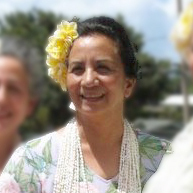 Makawao Union Church is an interdenominational church celebrating 150 years on Maui. 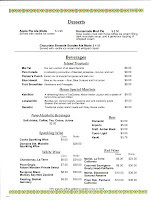 It is located at 1445 Baldwin Ave., 2.5 miles mauka of Hana Highway. For more information, call 579-9261. 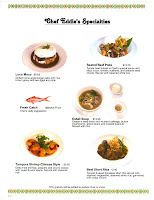 Haku Baldwin Center Hosts Fukushima Survivors -- w/ lots of Kokua! Read this Facebook update this morning, and thought about how fortunate I am to live in this wonderful upcountry Maui neighborhood that's so full of generous people. HAKU BALDWIN CENTER (a 501 (c)(3) non-profit) Mon, Aug 1st - We are hosting a special visit with the Fukushima earthquake and tsunami survivors thanks to the special friends of the Aloha Initiative. Our guests will be on our beautiful 33 acres enjoying time with the therapy animals and horses, afterward, a relaxing lunch courtesy of the kindness and generosity of Pukalani Superette donating the bento lunches and Komoda's Store & Bakery providing the desserts. 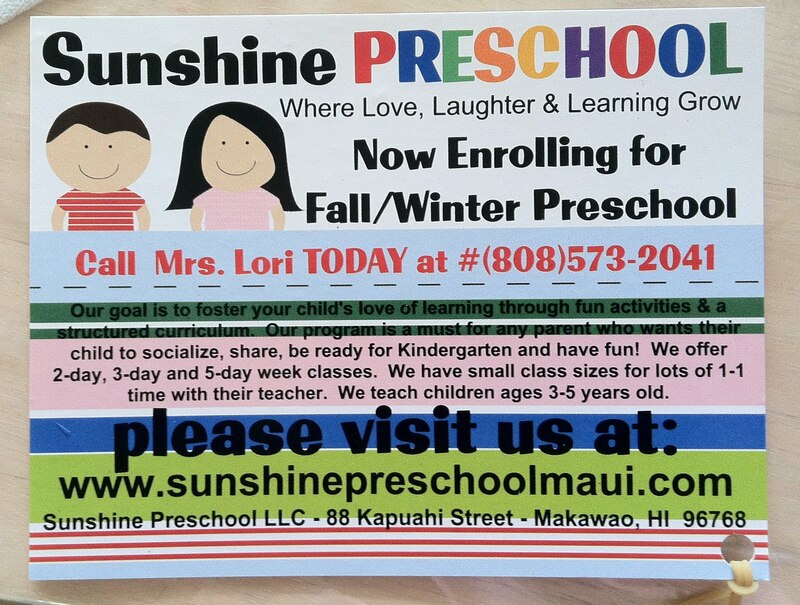 Sunshine Preschool Maui's in My Neighborhood, -- and Enrolling! 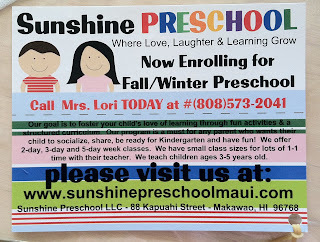 Is anyone looking for an upcountry pre-school? Found this card hanging on my front door this morning and I thought I'd pass the information along. If you do check out the school, please let Mrs. Lori know you read about it here. I don't know who she is, but won't she be surprised to know where her cute card ended up! How can 20 years go by without me knowing about this cool service? 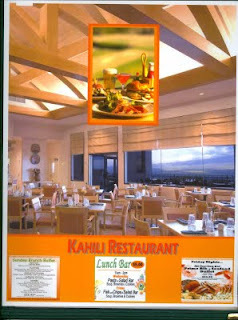 A High School Class Mini-Reunion + Kahili Restaurant = A Winner! No doubt about it, our high school class of 19(clear throat, cover mouth) is a close-knit group. We love getting together. And yes, we also love to eat when we do! So when June suggested the Kahili Restaurant's All-You-Can-Eat "Killer" Prime Rib & Seafood Friday Night Dinner Buffet for our annual mini-reunion, it sounded perfect for our appetites. 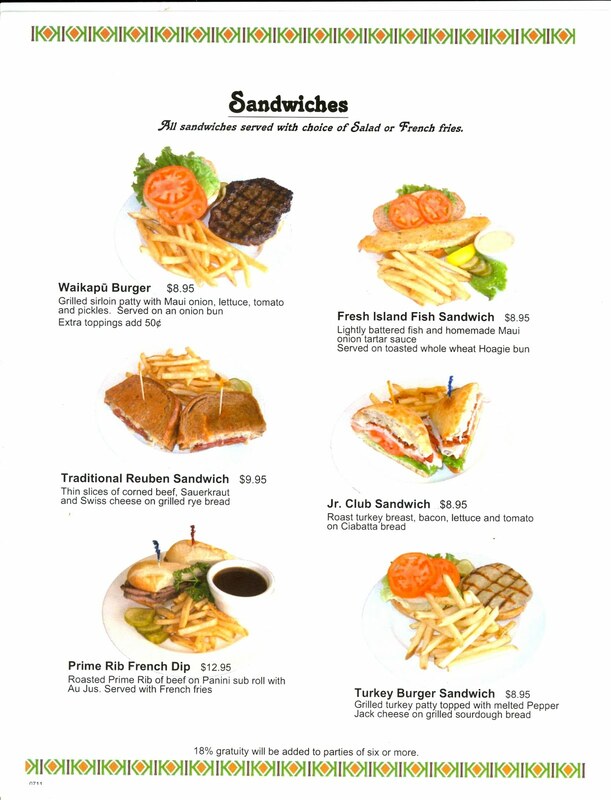 The prime rib was perfect, the seafood fresh, tasty, and varied, and the desserts that are freshly made by the restaurant were delectable. And, the place was packed -- with local people -- what a wonderful surprise! The rest of the crowd was not as single-minded, but their enjoyment was palpable too. 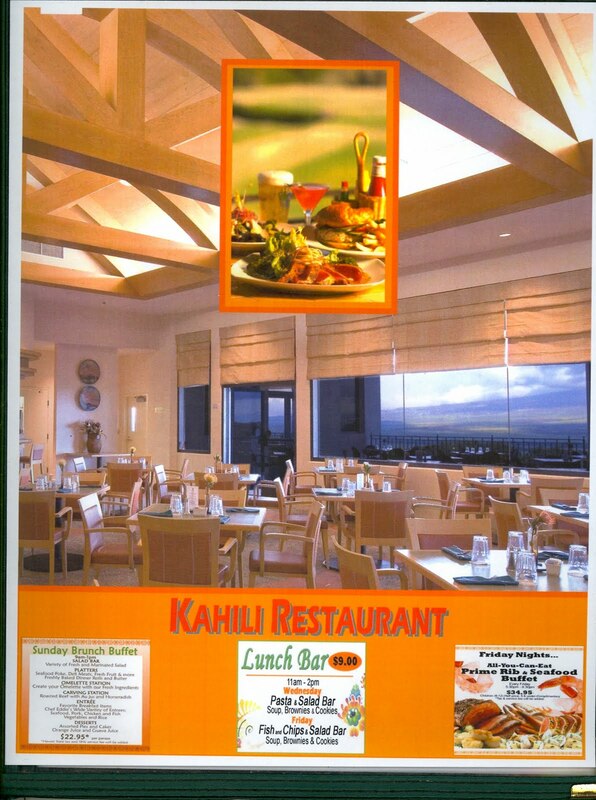 The Friday Night Prime Rib & Seafood Buffet is Kahili's stellar offering, and most expensive -- but it is totally worth it, according to our group. 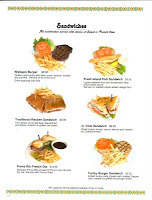 The regular menu (online) gives you an idea of Kahili's excellent daily offerings and good value. And did I mention the view? Haleakala was clear in the late afternoon and into the evening -- such a majestic and relaxing sight. Our group thoroughly enjoyed being with each other, and the Kahili Restaurant's setting and food put the evening over the top. Assistant Manager Tom Frame helped make our evening special! Yes, we will definitely be back! And thanks for the recommendation, June -- you were right on! 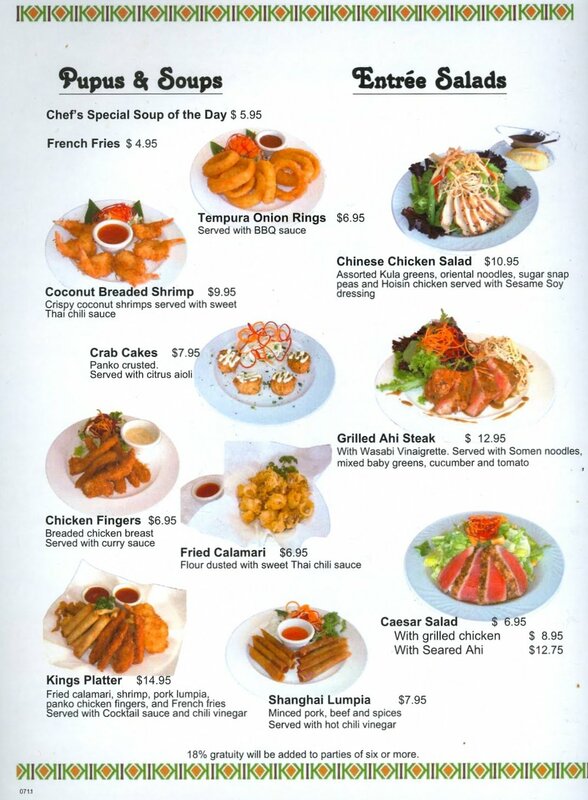 One last thing: the restaurant is off the beaten path. You might need directions. Disclaimer: As with all of my posts, this is a genuine, spontaneous, unsolicited, and uncompensated review. 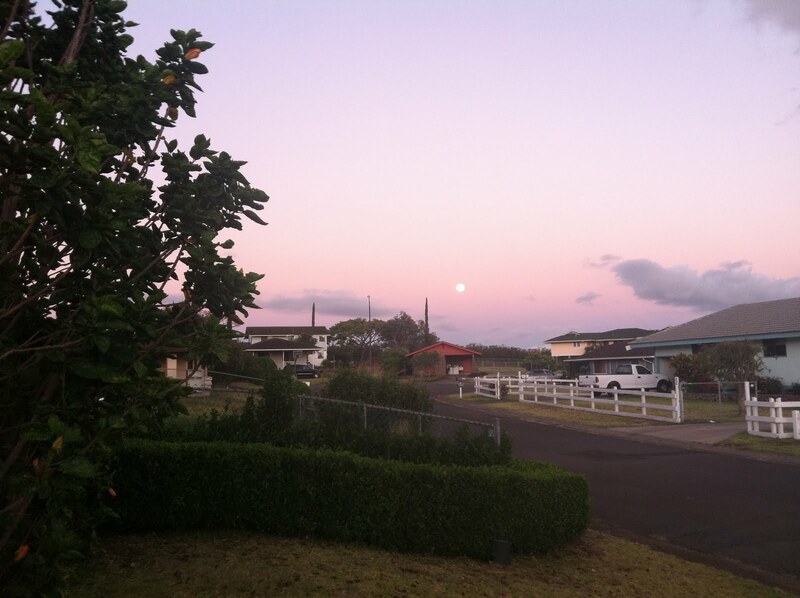 Good Morning, Upcountry Maui Moon! LOVE my iPhone for capturing fleeting moments for a quick blog post. 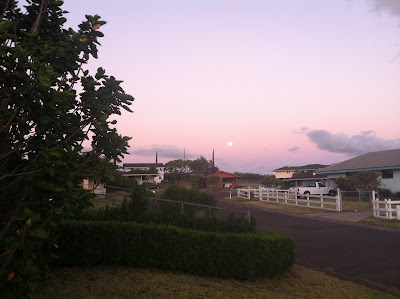 Caught the moon early this morning as I went out to get today's Maui News. Maui Mobile Mechanics Happens to Be My Neighbor -- Lucky Me! One of the things that completely throws my life out of kilter is when my automobile needs repair. Everything stops -- I have to make the phone call, set up the appointment around work time, hope there won't be a long line for repair, get the estimate, make arrangements to be dropped off and picked up, ad nauseum... you know the drill. S-o-o, you can imagine my utter delight when I noticed that Maui Mobile Mechanics (owner Danny Sato answers the phone with "M3") is my neighbor! Danny is a no-nonsense kind of guy! Granted, we do live next door, but on the same day I called, the phone call, the test drive, estimate, and brake repair took under two hours (I timed it), -- WOW! Danny's a master ASE technician and has been in the auto repair business for over 20 years. "I worked for Firestone and Midas, and thought to myself, I can do this on my own." The business is four years old. There are three vehicles, with three professional mechanics including Danny, "to come to you". Danny says the business is growing. 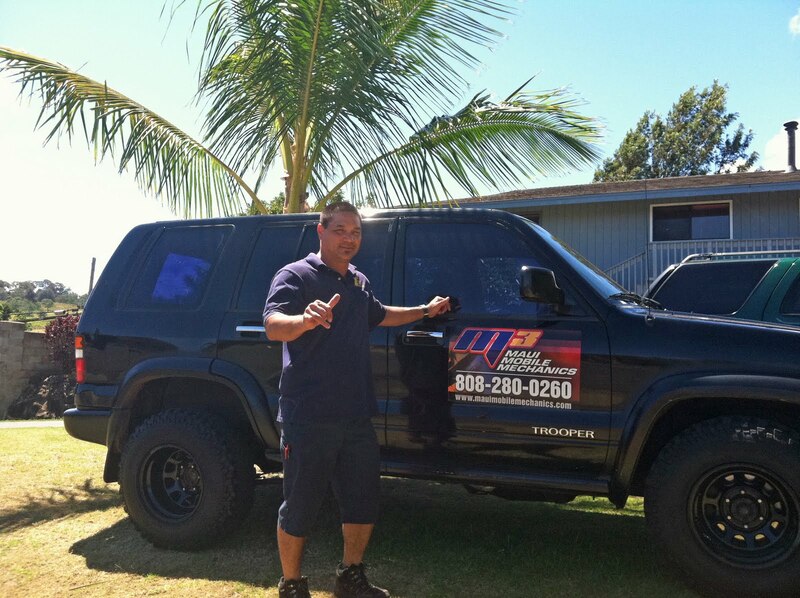 What does Danny like about owning a mobile auto repair business? "I like meeting all kinds of people. And people like the fact that they're able to watch the repair being done." Yes, haven't we all wondered what really happens in those repair shops? Next to the stress-free convenience of not having to leave your home to have your vehicle worked on, transparency is definitely M3's best feature, in my opinion. You can call 24/7. An emergency call is $125. It's Launch time for Celebrate Maui -- Home Sweet Home! This is it, my first blog post for Celebrate Maui, a personal blog I've been wanting to do for a while. Maui Mobile Mechanics Happens to Be My Neighbor -- NICE! Posts will be random and sporadic, maybe even just occasional, depending on what catches my attention. Posts will always be from personal experience. If a business is mentioned, it will always be unsolicited, spontaneous, and genuine. Disclaimer: Yes, I'll monetize this blog. It would be great to have a little support for my efforts. I already have an amazon.com connection set up and ready to go. Rest assured, though, that any personal endorsements I make will be irrespective of monetization or sponsorship. Time -- There Never Seems to Be Enough of it!